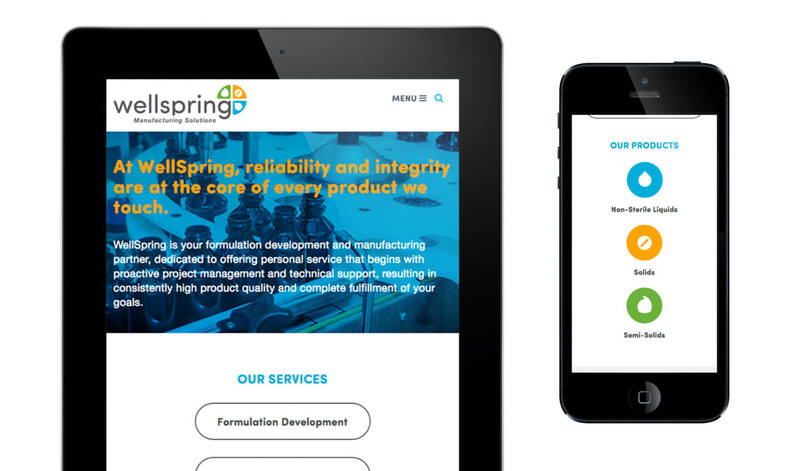 WellSpring wanted to update its branding and differentiate itself within a competitive pharmaceutical manufacturing market. 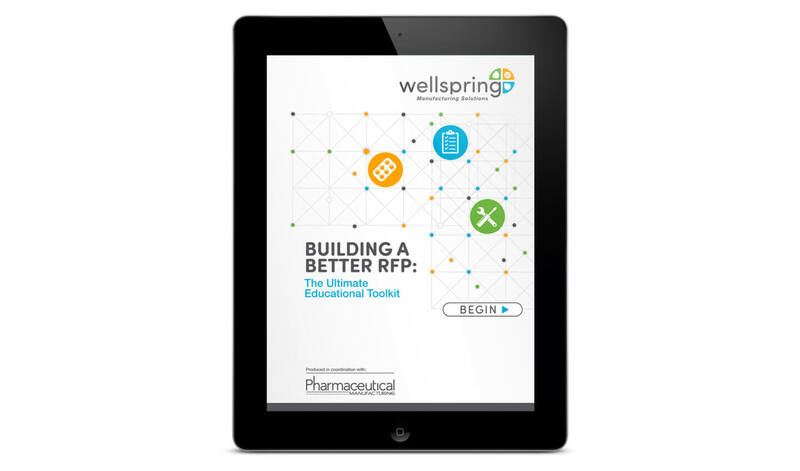 SCORR Marketing employed its proven market intelligence process as the first step to developing a marketing program that highlighted WellSpring’s key differentiators. 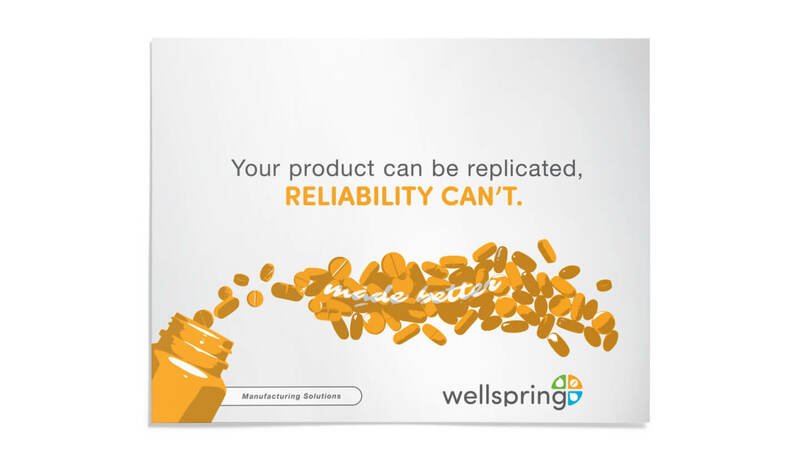 WellSpring was known for its reliable customer service and for deploying its scientific experts for consultation, creating an environment where pharmaceutical products could be made better. It had gained a reputation for customer satisfaction through years of consistency, reliability, integrity and flexibility. These distinctions led SCORR to a key insight: Products can be manufactured by many CMOs. 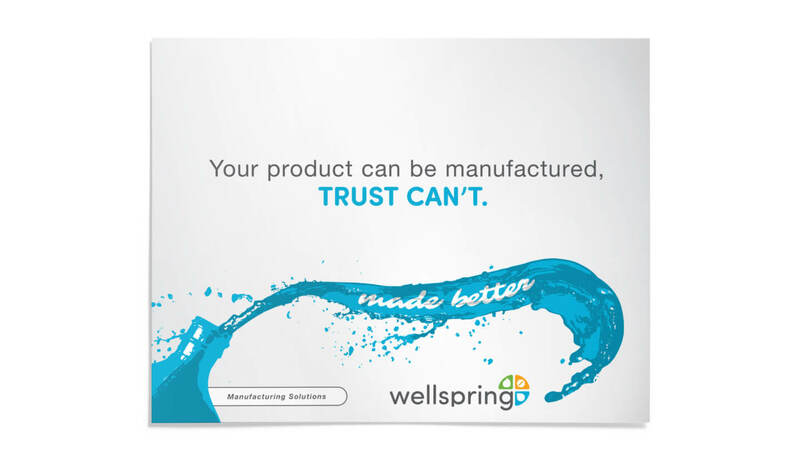 Trust can’t. 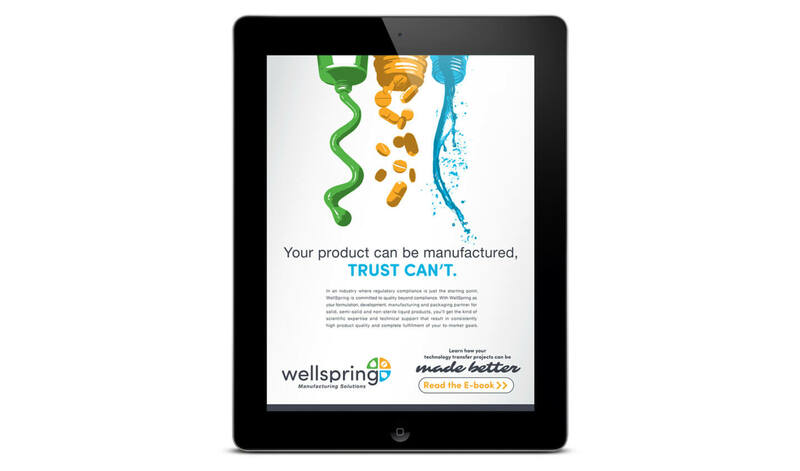 This is why products can be Made Better with WellSpring. 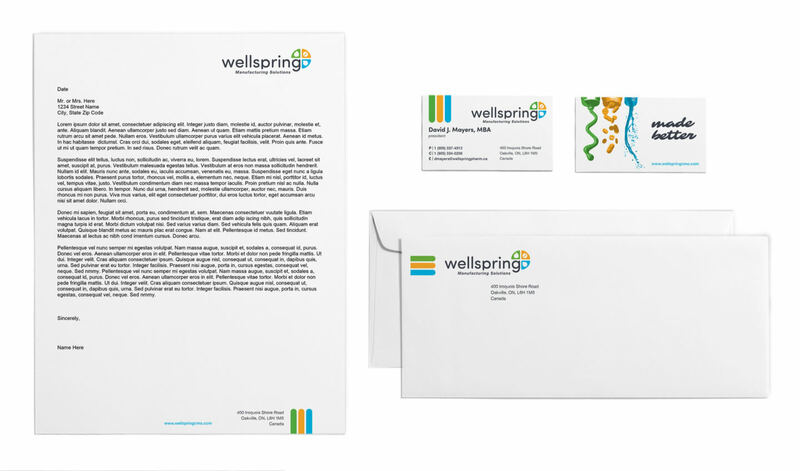 The company evaluated its existing name and tagline to ensure they clearly reflect who WellSpring is and the advantage that WellSpring provides its industry. 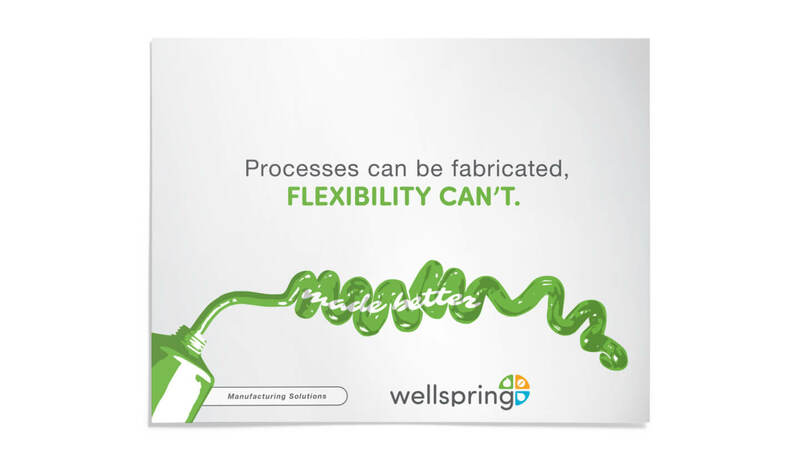 To ensure it maintained its previous market awareness, the company retained WellSpring as its name while using Manufacturing Solutions as a tagline to explain its primary focus on development and manufacturing. 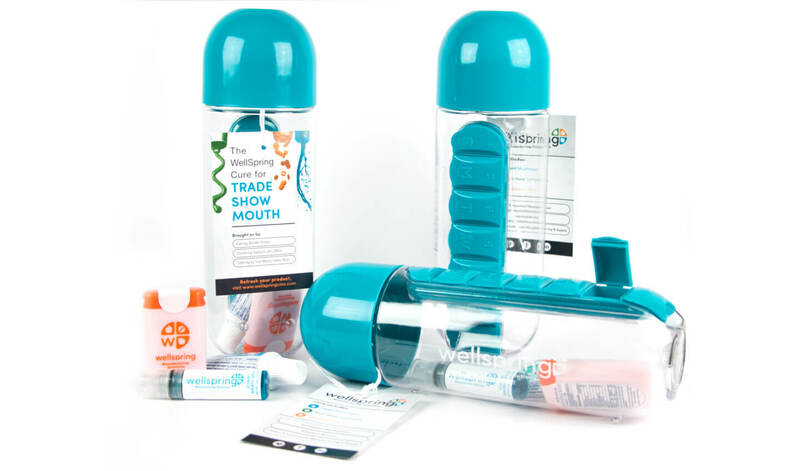 SCORR kept the original colors, modernizing the font and incorporating solid, semi-solid and liquid features into the logo to represent the dosage forms manufactured. 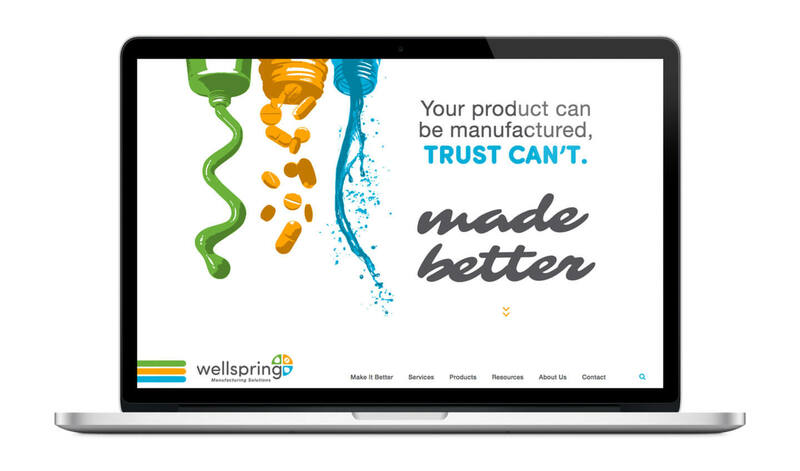 WellSpring wanted a website that matched its new identity while being highly functional through the HubSpot platform. SCORR created a clean and navigable resource with minimal copy that fits directly into the buyers’ journey. 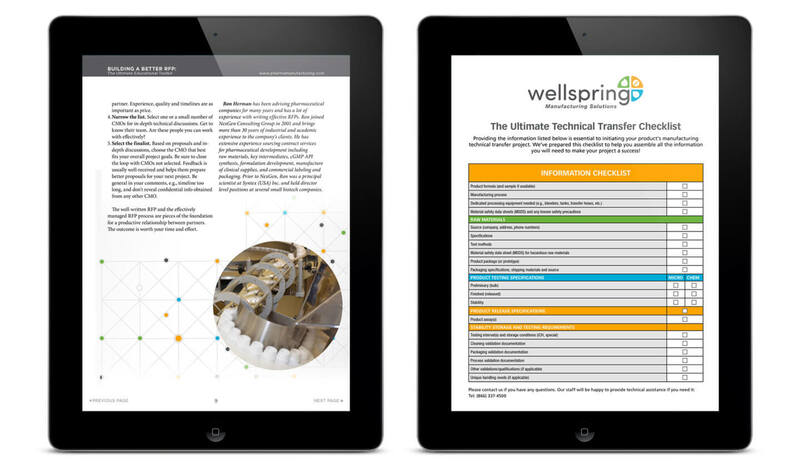 The site offers resources for each audience, as well as blog and e-book content to solidify WellSpring’s proven expertise. 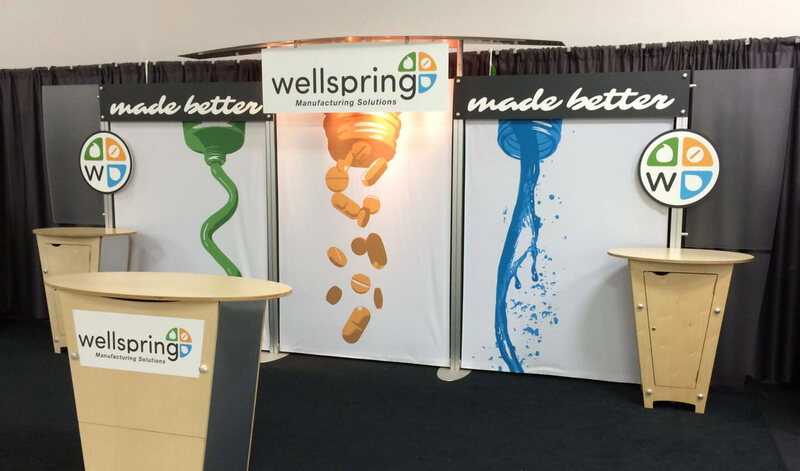 Looking to capitalize on its new identity, the WellSpring team sought a memorable trade show presence. 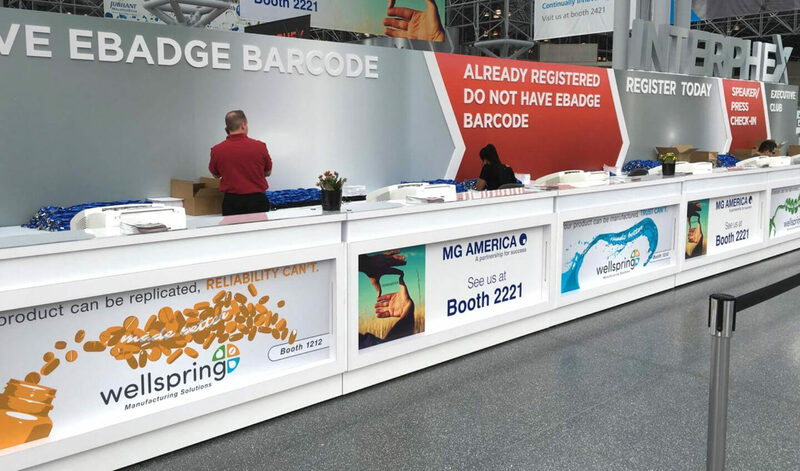 SCORR designed an attention-grabbing and scalable booth, along with an accompanying promotion to educate booth visitors about the company’s capabilities. 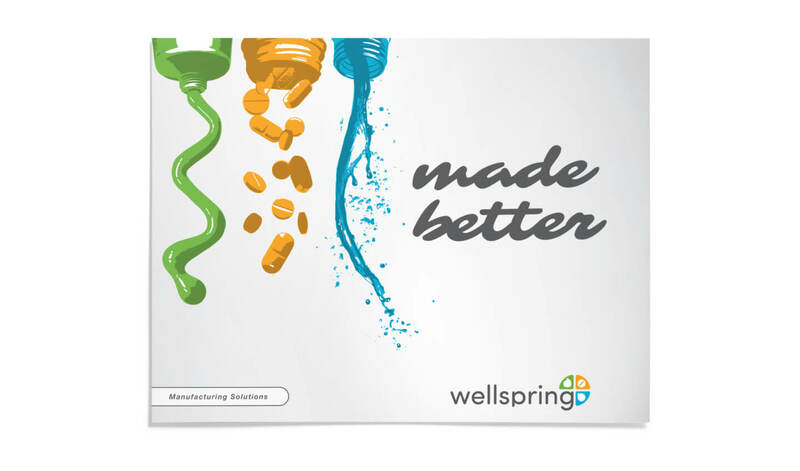 Gift bags for “Curing Trade Show Mouth” included branded mints, toothpaste and mouthwash that highlighted WellSpring’s solid, semi-solid and liquid manufacturing capabilities.